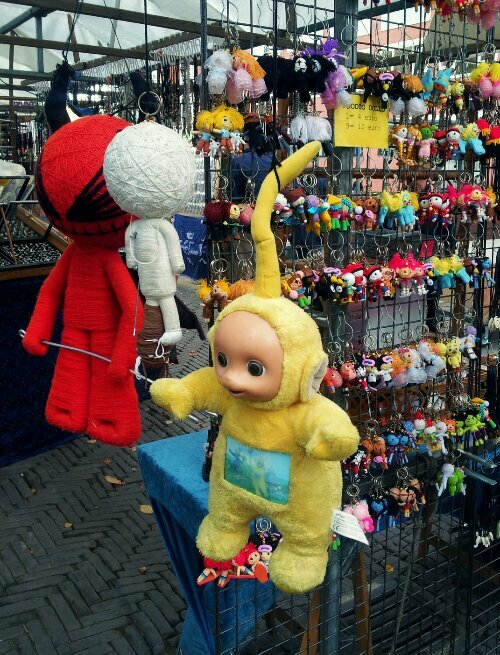 Europe 2013: Dear Amsterdam, You’re a Little Odd. We like it. I think Amsterdam was our very first taste of culture shock. Trying to take the right train when everything is in Dutch, for example. We pretty much had no choice but to ask for help, haha. Lord knows we don’t want to board any more wrong trains. The first thing that grabs your attention? Cannabis. All over the place. Totally geared towards the tourists, but still. I think anything labelled with ‘cannabis’ would sell. Lollipops, energy drinks, cakes, even ice cream. 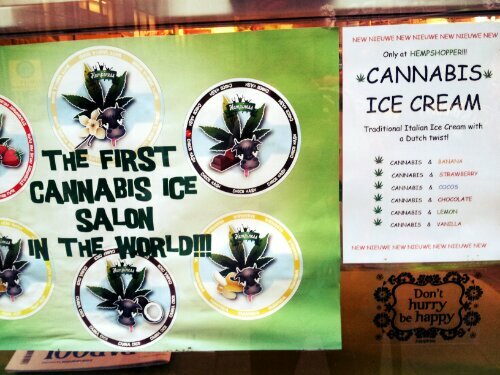 If we lived over here we’d probably have to create a cannabis cupcake just to grab the tourists’ attention. 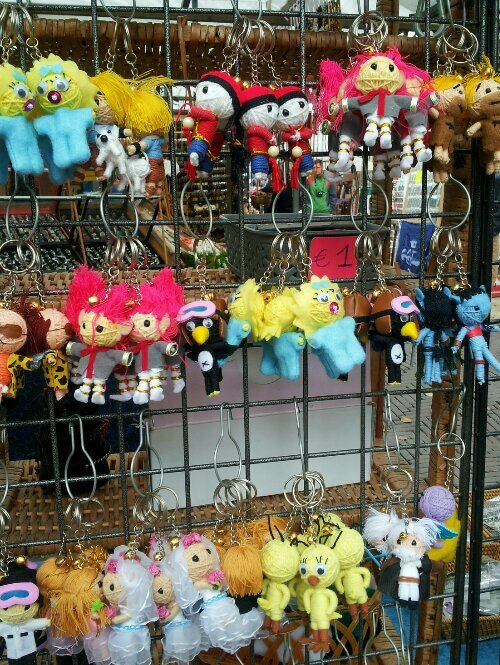 Walking along the streets, you spot some very interesting window displays. You want to put a statue of Mary and a nativity scene in the window of your Steakhouse?! Perfect! Sounds great! Amsterdam sort of has an ‘anything goes’ atmosphere–just as long as you’re discreet and it’s not harming anyone else. Somehow, it works. It’s actually kind of funny. We did a walking tour this afternoon, and there was one spot in the heart of the Red Light District where our 360 degree view was incredible. To our left was a huge Catholic church. Directly in front of us, there was a red-lit window. To our immediate right–a police station. At four o’clock there’s a cannabis ‘coffeeshop’, and directly behind us there’s a daycare. But it’s one of the safest parts of the city. It all makes Amsterdam incredibly interesting, that’s for sure. Free travel tip for all of you: don’t confuse a coffeeshop with a cafe here, haha. Previous Previous post: Europe 2013: The O’Brian’s-Kings of the Castles. 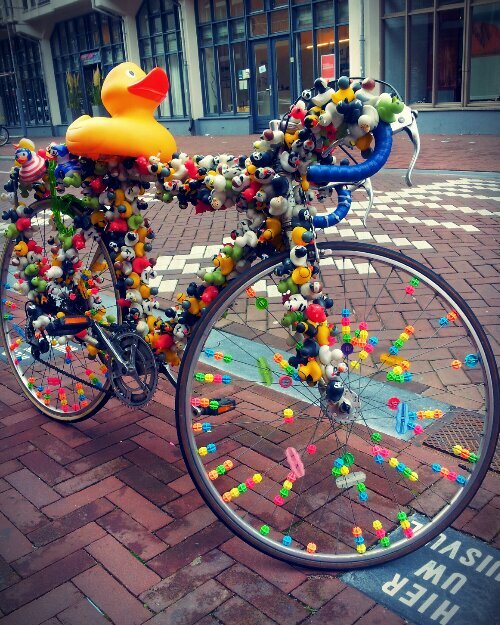 Next Next post: Europe 2013: If I were a Bicycle, I would move to Amsterdam.